The Motorola G5S is a decent smartphone with a premium build and capable specs for its class. However, it’s lacking in multiple aspects and felt like Motorola just stripped down the G5S Plus so they can introduce something at a lower price point. It would have been a worthy offering if it launched in early 2017, but in today’s standards, it doesn’t have enough fire-power to take on the competition. The G5s is a good-looking, well-built phone that suffers from below-average performance. Its cameras are good, though, and it has a decent screen. If you want a mid-range phone with a mid-sized screen, the G5S is a great choice. You do pay quite a bit more than the base model G5, but with that you get a better camera, bigger battery and a slightly larger screen. While performance is nigh-on identical, these extras certainly make it worth considering. The Moto G series has been known to provide a great experience in smartphones at a pocket-friendly price and at Rs 15,999, the Moto G5s Plus continues the tradition. Yes, people have questioned its specs (especially with the emergence of the likes of Xiaomi) but the company has the happy knack of doing more than enough to retain its faithful. And from our experience, the G5s Plus does that as well – it will not blow you away with spectacular specs but it’s smooth performance and distinct looks will grow on you. Positive: Solid workmanship; metal case; nice display; fast fingerprint sensor; long battery life; quick charging. Negative: Bulky; average performance; poor cameras; high price. 70% Test Du Moto G5S : Toujours Une Référence ? Recenzja Motorola Moto G5S. Nowy ideał klasy średniej? Positive: Solid workmanship; nice display; fast fingerprint sensor; 32GB RAM; decent cameras. Negative: Huge frames; sim and mircoSD are on the same slot. Positive: Decent performance; solid workmanship; good hardware; smart Moto Mods; fast fingerprint sensor; good price. Negative: Poor cameras. Positive: Solid workmanship; nice design; long battery life. Model: The Motorola Moto G5S is Moto’s another stab at the budget smartphones ball game. The Moto G5S seeks to learn from all the mistakes of its predecessor, with a bigger battery life and a better camera. For Lenovo, Moto G devices are more about providing value for money rather than promising top-notch specifications at dirt cheap prices. In terms of design, these models have been functional but not always the most attractive. 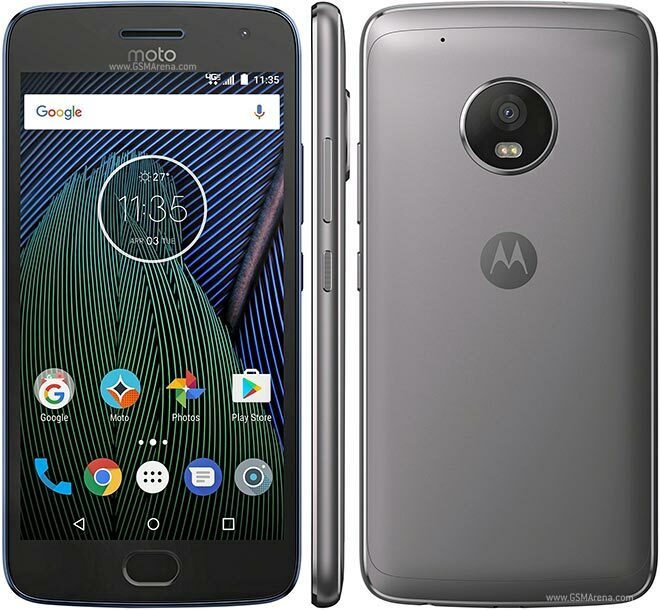 The fifth-generation Moto G models finally introduced metal rear panels, and now the special editions take this to the next level. The Moto G5S has an all-metal body with a nice finish, which is a huge improvement from the polycarbonate used on the previous models. Recent Moto devices have all had a similar design language which isn't a bad thing. It has become easy to recognize Moto-branded devices in a crowd. The Moto G5S has a fingerprint reader at the front which works flawlessly. There's an old-style Micro-USB port on the bottom of the phone, along with a speaker grille and microphone. The rear panel has raised circular bumps for camera and flash, and the iconic batwing Moto logo. The antenna bands are still pretty visible. The Moto G5S feels more ergonomic and is better suited to one-handed usage. At 157 grams, it feels light for a metal-bodied phone. The Moto G5S features a 5.2-inch Full-HD display with Corning Gorilla Glass 3 protection. The screen on the Moto G5S was good enough for daily use with decent brightness. It has good viewing angles too. The Moto G5S is powered by a Qualcomm Snapdragon 430 octa-core SoC clocked up to 1.4 GHz, coupled with 4 GB of RAM. As for the camera, it sports a 16-megapixel sensor with PDAF, a f/2.0 aperture, and LED flash. On the front, there's a 5-megapixel sensor with a f/2.0 aperture, wide-angle lens, and an LED flash. The Moto G5S has 32 GB of storage, which is expandable using a microSD card (up to 128 GB). Connectivity options on the smartphone include 4G with VoLTE, Wi-Fi (dual-band 2.4 GHz and 5 GHz), Bluetooth v4.2, GPS, Micro-USB, and a 3.5 mm headphone jack. The smartphone runs on a 3000 mAh battery and has a TurboPower charger. It weighs 157 grams and measures 150 x 73.5 x 8.2 mm. As for operating system, the Moto G5S run on Android 7.1 Nougat out-of-the-box, which is not the latest available version for Android devices. However, similar to other Moto devices, the Moto G5S has software enhancements from Motorola. There are Android 7.1 goodies like the ability to perform quick actions by long-pressing the icons of supported apps. There is also split-screen multitasking. The Moto G5S offers a near-stock Android experience with some very minor tweaks from Motorola such as Moto Actions and Moto Display. The G5s is a serious contender to the Chinese mid-range budget phones in the market.